There’s no age statement on this whiskey, but note that it is bottled at 50% abv. We just got our sample bottle, so let’s dig in to taste. The nose is aggressive, both with barrel char and more intense spice notes, namely cloves, but also black pepper, toasted sesame, and some dried fruit notes. On the palate, the whiskey comes alive, almost immediately. Bold with baking spice notes — heavy on the cloves but spiked with nutmeg and cinnamon — it segues from there into notes of vanilla custard, milk chocolate, and a shaving of lemon peel. The finish is fragrant and lightly sweet with vanilla ice cream and another touch of cinnamon. Everything works wonderfully well together, with the punchy nose and the more supple palate creating a surprisingly cohesive and complementary whole. The price is also just about perfect, making it an excellent alternative to Rittenhouse should your stock of that essential rye be running low. 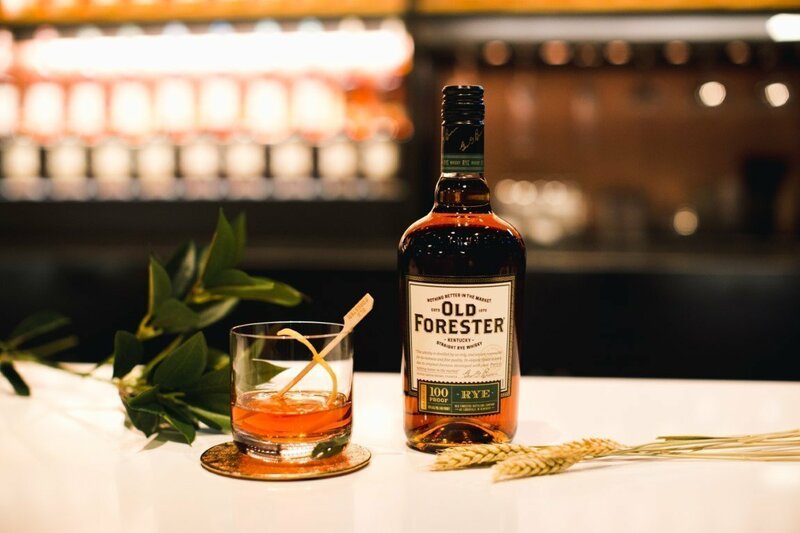 As a side note, Old Forester also recommends (of course) pairing the whiskey with its own Old Forester Grandiflora Syrup to make the “perfect” Sazerac, mixed (sans absinthe rinse) over ice in a 4:1 ratio. I tried this out and found it closer to an Old Fashioned than a Sazerac, and the syrup’s included rose petals made it quite a bit too floral for my taste. If you do happen upon some Grandiflora Syrup, try mixing it with the rye in a 6:1 ratio (or even 8:1), which works wonderfully and coaxes a strong chocolate flavor out of the whiskey.